Watford have recorded their existence in the winter window by completing their first move in for a Barca attacker, with the window bordering closer to its conclusion. Javi Gracia has irrevocably secured the services of Gerard Deulofeu on a season-long loan deal. The 23-year-old will purportedly operate on the wide spaces, stretching out more prospects for the attackers up front. Moreover, the tremendous workload Richarlison and Andre Carrillo have been subjected to in the recent weeks is presumed to better out with the Spaniard’s advent. Having spent two seasons playing for Everton, the Spain international is accustomed to playing in the Premier League, which further boosts the rate of his adaptation process, which would prove a necessity owing to the short remainder of the current season. Besides, having savoured a prolific latter half of the previous season at AC Milan, the talented forward was certainly producing his best to keep up with the superior and exquisite plays of the Catalan club, and had consequently appeared on 17 occasions for the Spanish Giants this campaign. 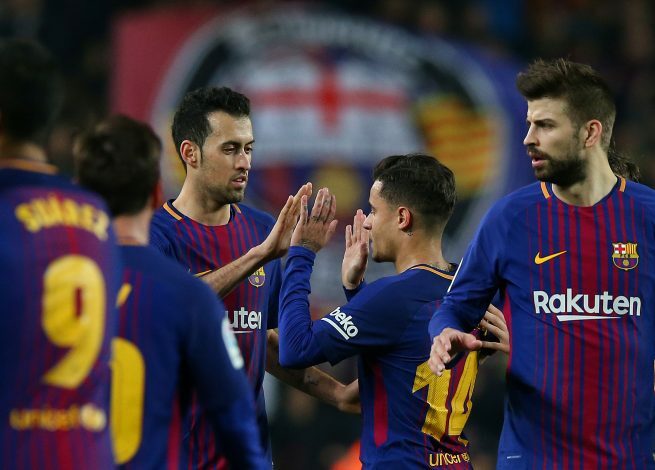 However, the arrival of Philippe Coutinho was more or less driving him down the pecking order in the wake of the Brazilian’s capabilities to fabricate artistic plays on the pitch. Regardless, Barcelona have now confirmed the Watford offer, and announced that the Hornets will manage the wage details of the starlet with a potential add-on of €1m. The deal doesn’t include any purchase option, and on returning to his original club at the end of the season, Deulofeu would have a year subtracted from his contract at Nou Camp.